This Navratri, do not stop yourselves from indulging in some finger-licking good food and equally scrummy desserts! We have curated a list of 8 places, that are doing the best Navratri Special Thalis as well as delish eggless desserts! Verandah has come up with a special Navratri Menu, in which you get all food available, even if you are fasting. You can try their Sabu dana bhel, Shakarkandi chaat, Sabudana pakora, Arbi ke kofte and a lot more. Head over to Portico in Gurgaon’s DLF5 for a true taste of heaven with their Navratri Special Thali. Binge on to delicacies like Paneer Makhani, Sitafal ki Sabzi, Cucumber Raita and a lot more perfect for your fasting routine. They have special options available on their menu too! Presenting especially for the 9 days of Goddess Durga’s arrival, Gastronomica’s Navratra menu. Here you can find Sago and Quinoa Bhelpuri, Arbi and Anardana Galawat served with Varqi and Kuttu parantha, Apple, celery and cinnamon cold soup for, Honey roasted pumpkin and water chestnut tortellini with caramelised walnuts in sun-dried tomatoes sauce, Sweet potato gnocchi with almonds flakes and mint chimichurri and many such Navratri Special delights! Uncultured Cafe and Bar in Kailash Colony has introduced a special Navratri Thali that is the perfect festive delight to brighten your mood this Navratri. For this Navratri, Papaji & Sons brings to you a special Navaratri feast. 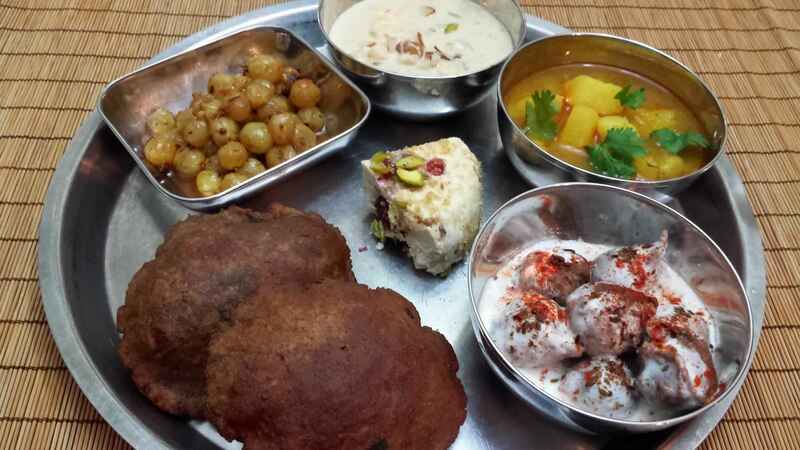 Right from Paneer Makhani, Aala sabzi, Swank ka papad, Kuttu aata puri, Salad, Curd, to Sabudaana kheer, their Navratri Thali is a complete meal for satiating your buds and helping you cope with your devotion and faith with an added taste. 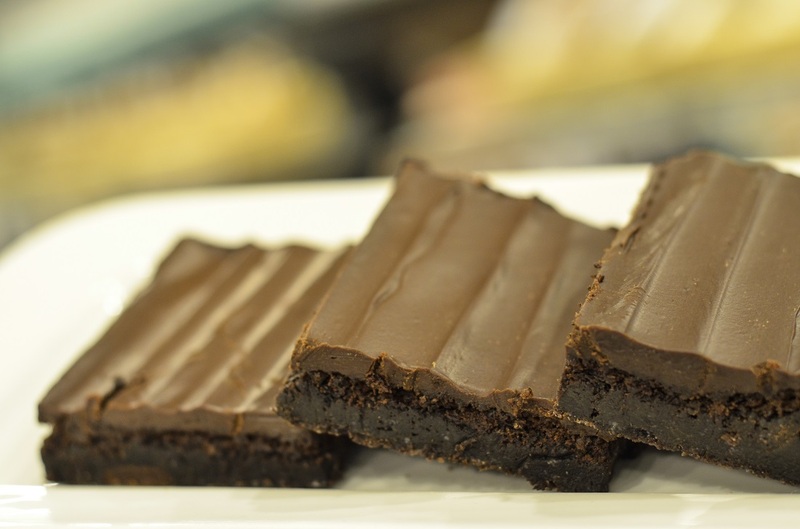 If you’re craving for some sweet delights, then here are 3 places doing some amazing eggless desserts! 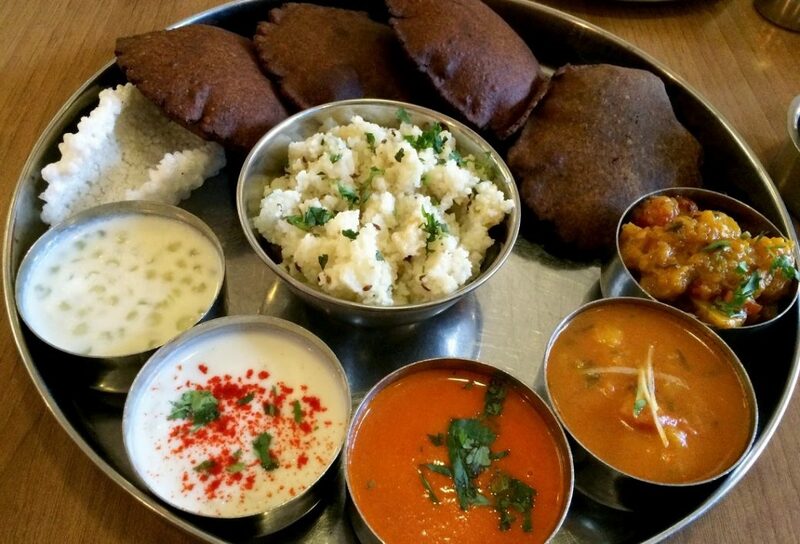 20 Things To Eat In Delhi If You’re A Newborn Foodaholic!